If you have ever experienced a throbbing toothache, you know exactly how severe it can be. In fact, toothaches are the worst, and they can put you out of business for a few days at a time if they get bad enough. A severe, throbbing toothache can affect the way you eat, sleep, talk, or perform daily activities, and can lead to other issues like headaches and muscle cramps. If you wake up and find that your tooth is throbbing, there’s probably a reason, and there are also a few things you can do to help make your toothache more manageable while it lasts. In the event that you must see a dentist for your toothache, you may be able to manage the pain in the meantime. If you know that you already have untreated cavities in the affected tooth, there is a good chance you are experiencing an infected tooth abscess, which fills with pus and creates pressure and throbbing tooth pain in the area. Your toothache lasts consistently for more than three days. When you see a dentist for a throbbing tooth, they will likely do a full exam, which can include an inspection of the gums, teeth, and inside of your mouth, an inspection of your sinuses for inflammation and infection, an inspection of your tongue and throat for abnormalities and swelling, checking your lymph nodes for excessive swelling or x-rays to help determine the cause of the throbbing tooth. 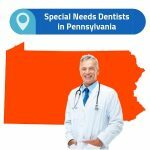 Once the problem is identified, your dentist will be able to suggest the right treatment options and medications. There are several ways you can try to manage your pain at home for a mild toothache. These remedies may also help you manage pain to a point while you are waiting to see a dentist about your moderate to severe toothache. Prepare a salt water rinse with ½ teaspoon of salt dissolved in one cup of warm water. Swish the solution around the affected area for 1–2 minutes to relieve pain. You can repeat this as often as necessary. Apply black tea leaves directly to the affected area. Black tea is a natural anesthetic, which will help relieve some of the pain. Use an over-the-counter oral analgesic ointment to numb the area temporarily, which can help manage pain while waiting to see the dentist. Take anti-inflammatory medications such as ibuprofen or pain-relieving medication such as acetaminophen to help reduce pain. Prescribe pain medication to help you manage the pain. Prescribe antibiotics for tooth infection to help kill bacteria that cause pain and inflammation. Place caps or fillings on the tooth, if it has a cavity, to prevent more bacteria from growing. Clean your teeth thoroughly to remove food particles or other fragments that could be causing pain. Suggest further dental work, such as a consultation with an orthodontist, if the pain is due to a spacing issue. Brushing your teeth regularly, at least twice per day. Covering the entire surface of each tooth when you brush. 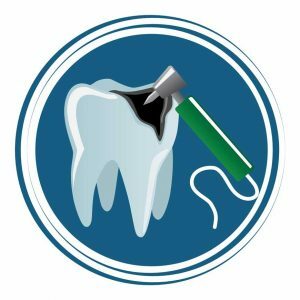 Floss regularly, or after meals, to remove food fragments in between the teeth that can cause cavities and bacterial growth. Rinse to remove bacteria in hard-to-reach areas. Removing all bacteria can help prevent infections. Take proper care to seek treatment if you grind your teeth. Seek help from an orthodontist if your teeth are misaligned in a way that they cause excessive pressure. Drink plenty of water and make sure to get a daily dose of vitamin D, calcium, and phosphate to support bone strength. Not eating an excessive amount of sugary foods or drinks. Not eating or drinking after brushing your teeth at night (except for water), before going to bed. Your dentist may have other suggestions related to your oral care and preventing tooth infections and throbbing teeth. 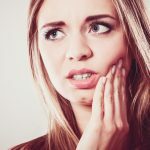 If you experience severe tooth pain, don’t ignore it! You should seek help from your dentist to identify the problem and receive proper treatment. Remember, damage to the tooth cannot be reversed. Ignoring dental pain and toothaches for too long can result in excessive, irreparable damage to the teeth and gums, periodontal disease, as well as other serious oral issues. 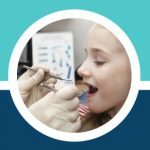 Not only will your dentist be able to help you manage the debilitating pain associated with most toothaches, but they will be able to prevent further damage from happening and help you keep your dental health in line.